I bet you didn’t know that dragons started out life with deformed frog feet, did you? 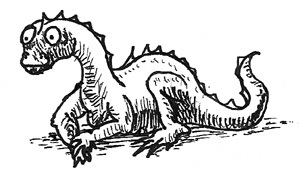 This entry was posted in Pen/Ink and tagged creature, dragon by Nathan. Bookmark the permalink.